LabuzaMovies.Com: See Time Come to a Halt...For Free! Director Andrei Tarkovsky looms over the cinematic canon like death, just always shy of some of the greatest lists, but wholly present there. The Russian director is truly one of the most imaginative of the medium, and watching his films is like watching time slowly collapse on itself, ceding to a world of abstraction. 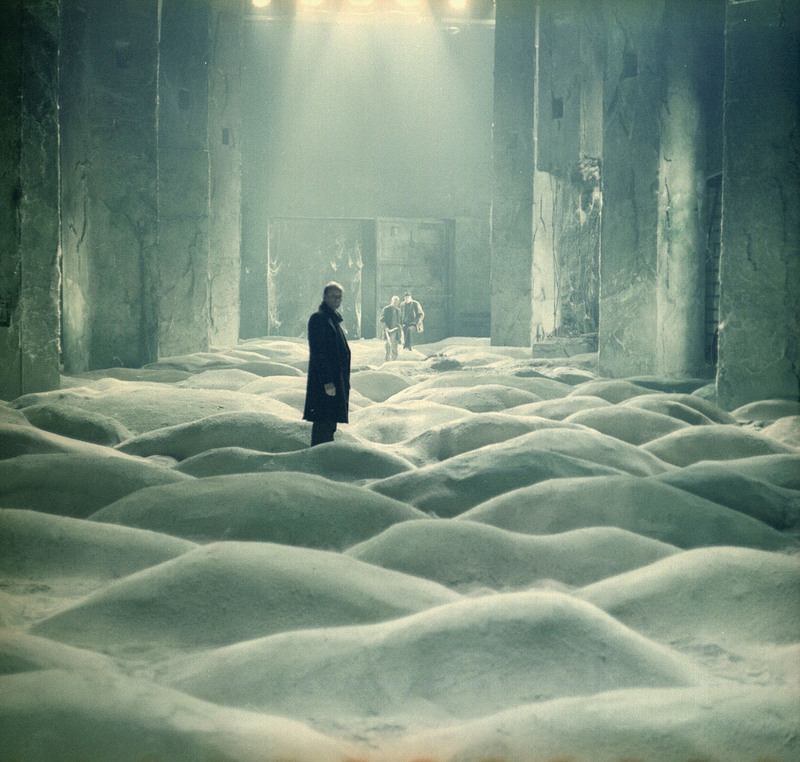 Last year, I reviewed four films by Andrei Tarkovsky when the Film Society at Lincoln Center did a retrospective of his work. I unfortunately did not have time to see the final two films in Tarkovsky’s short, but extremely memorable, career: Nostalghia and The Sacrifice. However, now both you and I have a chance to watch all of the Russian director’s works. Thanks to Film Annex, you can watch all seven of Tarkovksy’s feature films. From the wild spirit of Ivan’s Childhood, to the exploration of faith in Andrei Rublev. To the madness of The Mirror, to the complex beauty of Stalker. And of course, Tarkovsky’s most famous film remains his science fiction mystery Solyaris (remade by Steven Soderbergh, which is also one of his best films). Watching Tarkovsky is to become lost within cinema. He loses you in his narratives with questions you are afraid to answers, shots that seem to bring time to a halt, and performances that can move your soul. His films are by no means easy—they are among some of the toughest films I’ve had to sit through due to the slow nature and difficult dialogue—but they are easily some of the most rewarding films you will ever see. PS: One of Andrei Tarkovsky’s first films was film school was an adaptation of The Killers by Ernest Hemingway, which was made into a truly great movie by Richard Siodmack with Burt Lancaster in 1946. Tarkovsky’s short is brutally dark, and gives a great sense of the potential of this director. You can see it here and here on Youtube.